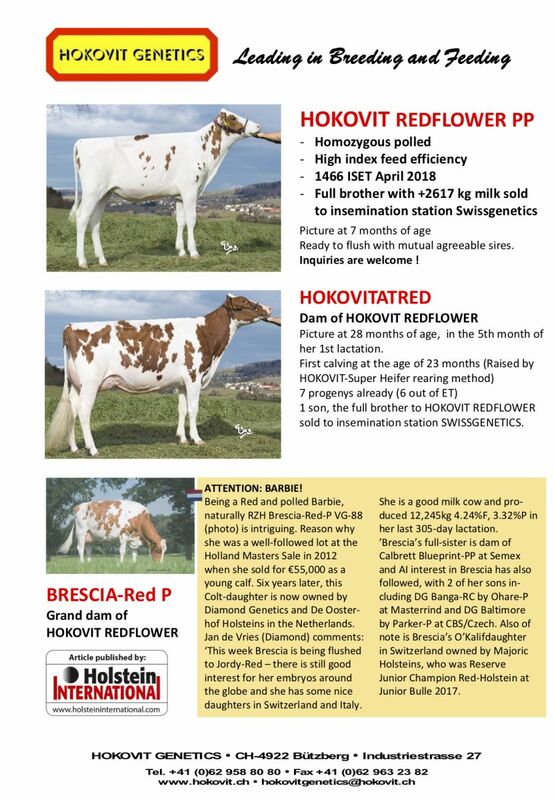 The legacy of RZH Brescia-Red P VG-88-NL (s. Colt 45 P Red) continues with her daughter, HokovitAtred GP-CH 2yr., and grand daughter Hokovit Redflower PP in the top of the Swiss System! HokovitAtred is an Atwork *RC daughter of Brescia and has already 7 offsprings and 1 son in A.I. @ Swiss Genetics. This fancy 2yr. Old is the maternal sister to the Res. Jr. Champion Junior Expo Bulle 2017: Majoric Brescia (s. O'Kalif). 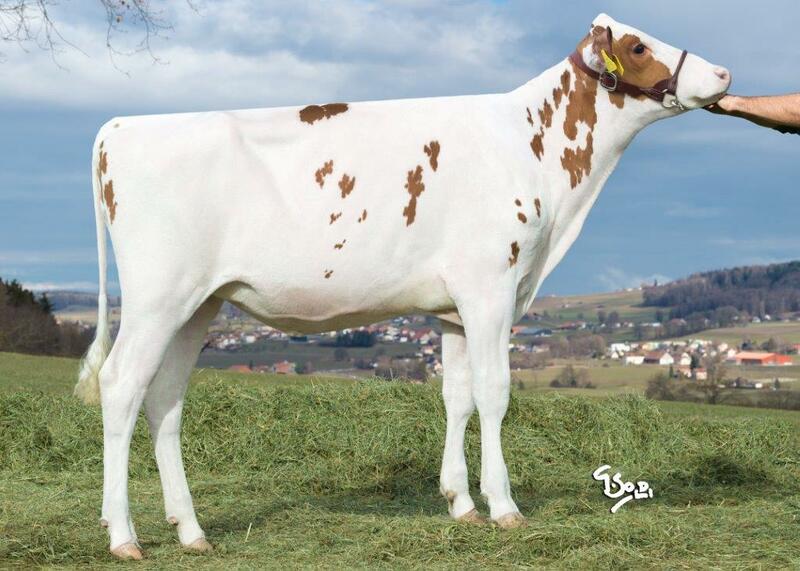 HokovitAtred her homozygote POLLED daughter by Soccer Ball P tests +1434 ISET and is currently in the flush program. Inquiries are welcome for this increcdible chart topper! +1434 ISET and ready for the flush programs! Full brother in A.I. with +2617 Milk in his index! Same family as Gold Chip, Capital Gain, Cashcoin and more! 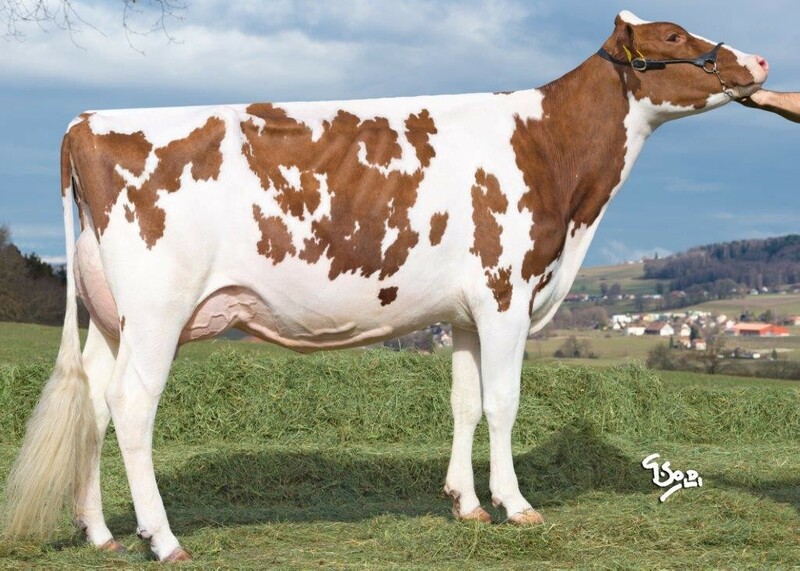 Fancy Atwork *RC dtr from RZH Brescia-Red VG-88-NL!! To contact Hokovit Genetics, click here or use the following contact information.